Monitoring the security of third-party vendors and business partners has become even more important as threat actors focus on exploiting those connections. In this Q&A session with Third-Party Risk Assessment Program Manager of KPMG, the SANS Institute uncovers how KPMG continuously monitors the security level of critical vendors and facilitates more effective collaboration on risk reduction. 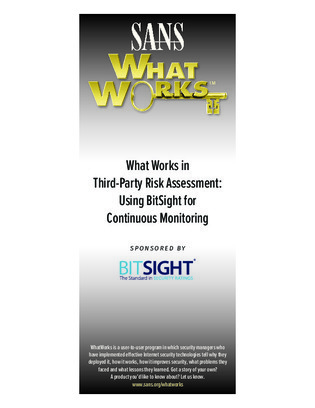 Read on to find out how your organization can benefit from third-party risk monitoring.